Click the image below to view the full details of the St. Lucie County townhouses and condos market report data as reported by St. Lucie County Realtor for the 2’nd Quarter 2018. 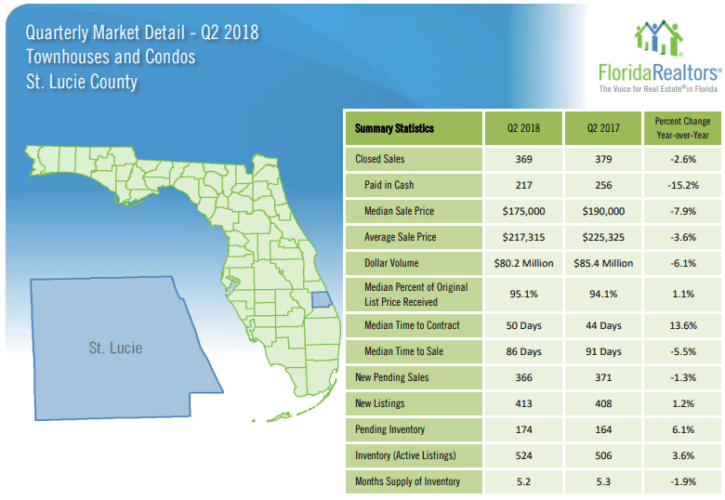 The Saint Lucie Count townhouses and condo real estate market showed weaker activity for the second quarter of 2018 when compared to the same period last year. Both sales volume and prices decreased. Though, this market remains quite active as a seller’s market. To view the full report click the image above or this link.